When reading a newspaper article, you must always try to remember that everything about that text has been constructed and chosen to create a specific response from the reader, from influencing the audiences’ political beliefs to suggesting who is the guilty party in a crime. What comes first in the article and why? Newspaper articles tend to follow an inverted pyramid structure, where the most important information of the story comes first. The writer is therefore foregrounding (putting in a prominent position) the material they believe is the most important for their reader to see. Are the events of the story narrated in the order that they occurred? An article may sometimes deviate from the chronological order of events so that parts of the story are hidden later in the text to make them less significant. 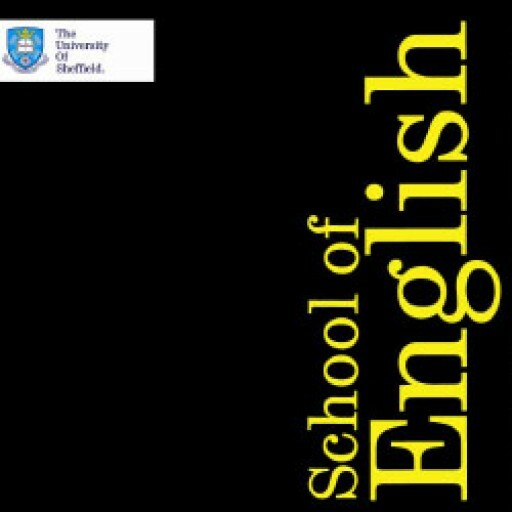 Does the text use direct speech quotations or simply reported speech? This can impact if we believe the source, with direct quotations typically being more reliable. Who are the main actors in the text and how are they presented? The presentation of people in a story can also have huge impacts on the reader. For example, in passive sentences, such as “Bill was kicked”, the person who kicked Bill is never mentioned. This removes blame from an individual person. In active sentences, on the other hand, e.g. “John kicked Bill”, it is clear that John is fully to blame for this action. Removing an active agent from a sentence can therefore prevent a reader holding another person responsible for their actions. To put these techniques into practice, we can look at the opening of this Guardian article which followed Donald Trump’s inauguration in January 2017. Sean Spicer has recently become the US government’s Press Secretary, and this piece is focused on one of his first addresses to the media. The opening of this article, then, is clearly using techniques to alter the reader’s perception of Sean Spicer and the Trump establishment. Spicer becomes part of the military opposition in a “war”, where “us”, the reader, must fight back. 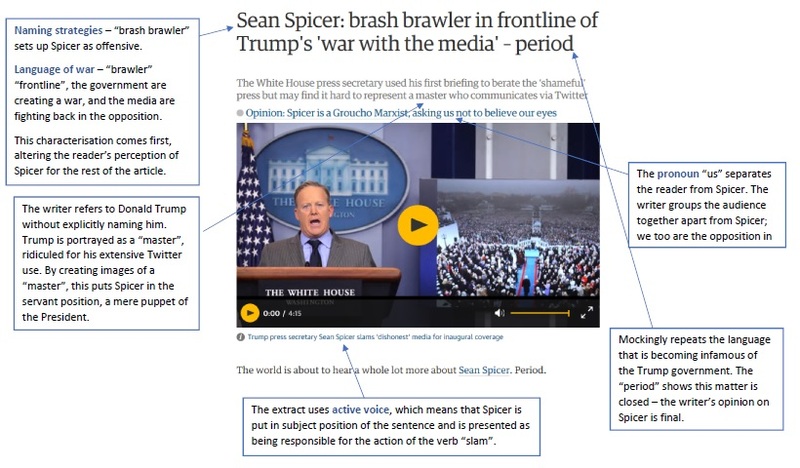 Using the active voice, the writer demonstrates that Spicer’s actions are purposeful; he is the active agent in the sentence and he is therefore worthy of blame. The description of Spicer as “brash” and offensive is significantly foregrounded at the beginning of the article as the most important aspect of the text, which shows this is what the writer wants the reader to remember.